A floodlight is sometimes used to highlight landscaping or a feature on a home or structure, and it can also be used as a safety feature. Many of today's floodlights operate on a motion sensor, a timing sensor or both. If a floodlight isn't working properly, there are a number of possible reasons. You could have a problem with the settings, the fixture or the bulb. Troubleshoot a floodlight to get it working properly again. Check that the power is on to the circuit operating the floodlight. Make sure that there is not a light switch controlling the floodlight that is in the wrong position. Change the floodlight bulb. Make sure that you have a bulb of the correct wattage installed. Verify that the controls on the floodlight are set correctly. If you have a motion sensor on your floodlight, it may be set at the wrong level. The sensor control determines how sensitive the floodlight is to motion. The dusk or timer switches, if included, determine at what time the floodlight will turn on and what time it will turn off. Correct the settings and test the light again. Examine the area around the floodlight. 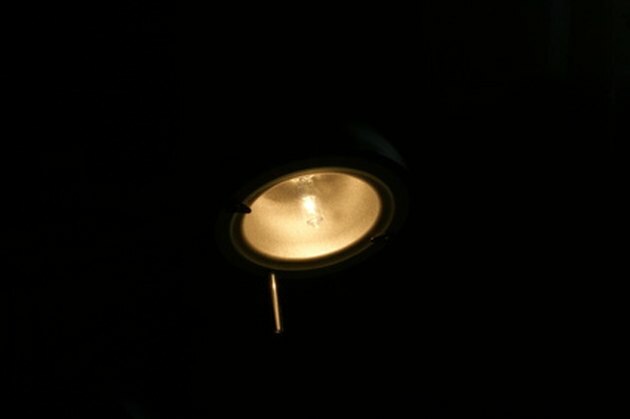 Most motion sensor floodlights will not work correctly if they face directly into a reflective surface, if the lens is hit by direct sunlight or if the light is positioned over a heat or air conditioning vent. Turn off the power to the floodlight at the circuit box. Open the head of the floodlight with a screwdriver. Unscrew the wire caps covering the live and neutral wire connections. Verify that there is no loose or disconnected wire. Reassemble the light casing and test the light again. If these steps haven't solved the problem, contact a professional electrician for help.